Note: You can enter this giveaway one (1) time per e-mail address per day. Deadline is 11:59PM ET 1.11.19. From the makers of naturally fast food comes a naturally delectable and joyous cookbook. 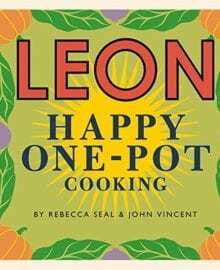 Rebecca Seal and John Vincent have compiled a collection of 100 recipes that will help you get dinner on the table. However the day or evening unfolds, you can chose to make enticing meals, layered with flavor and deliciousness. Make it naturally fast, low and slow, fresh and easy, cozy and warm or posh for those you not only want to feed but astound with your culinary powers. A spectacular and simple lemon roast chicken will guarantee dinner time is wow time. NO PURCHASE NECESSARY TO ENTER OR WIN. Void where prohibited by law. Open to legal residents of the 50 U.S., D.C. and Canada (excluding Quebec) who are at least eighteen years old at the time of entry and have internet access. Begins on 12.21.18 at 12:00 a.m. ET and ends on 1.11.19 at 11:59 p.m. ET. To enter this giveaway, submit your full name and email address on this form. Odds of winning this giveaway depend on the total number of eligible entries received. Only one (1) entry per email address per day. Sponsored by Leite’s Culinaria, Inc. For more information, visit our Official Rules. For a list of winners, check out our Very Happy Winners page. Be sure to add giveaways@leitesculinaria.com to ensure notification if you are the winner.